Looking for a free English to French translator? Fortunately, there are several tools available today to understand French without spending a franc (or a dime)! 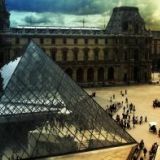 Given that France is one of the top tourist destinations in the world, attracting millions of visitors each year, and given that French is spoken in over 30 countries worldwide, it's no wonder so many people are looking for ways to master the language or to at least gain some basic French conversational skills. 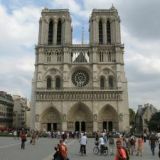 So whether you are planning a trip to Paris, the city of love and romance, or want to be able to communicate with your French-speaking family or clients, translating English to French is made easy with the following tools. The first place to look for a free English to French translator is online, where there are several resources which provide French words and phrases with their correct pronunciation. Simply enter the English word or phrase you wish to have translated, and voila! 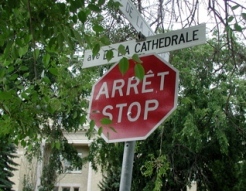 The correct French translation is displayed and/or sounded. Keep in mind that the most effective way to learn any foreign language is to practice, practice, practice; so keep reviewing what you have learned until it sinks in. However if you're not interested in learning how to speak French but rather need a free English to French translator to translate important documents or even a website, there are several tools which can help you. Google translate is a free automatic text translator service, and your toolbar may come with a button that instantly translates your page into French. The experts also recommend making a translation sheet, which will help you remember the most frequently translated words and phrases on your website or document so that you can learn to use the words by yourself. Having said all this, despite the allure of a free English to French translator, the fact is that human translation by a native French speaker is always a better option. Automatic or free translators often make key grammar mistakes and are unable to pick up on the nuances of either language. Remember: Your website represents you and your business, for better or for worse. Inaccurate or poorly translated text may cost you future business or inadvertently offend some of your readers. So while the translation services don't always come cheap, the end product will be more accurate, more professional, and well worth the money you spend.